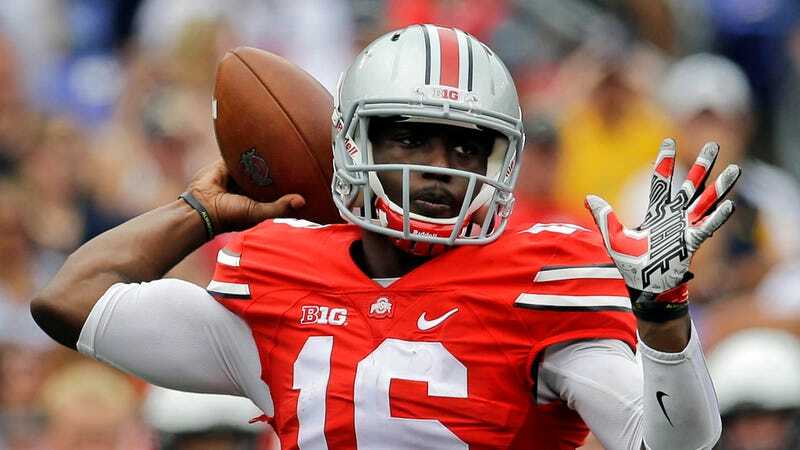 Ohio State quarterback J.T. Barrett will miss next week’s game against Minnesota after being arrested last night in Columbus on charges of operating a vehicle while intoxicated, according to Eleven Warriors. Barrett, 20, was arrested after trying to avoid a DUI checkpoint near the Ohio State campus, a source told ESPN. He failed a breathalyzer test and was released to teammate and fellow quarterback Cardale Jones, according to the source. Barrett’s suspension conveniently coincides with the Buckeyes being off this week; he was previously investigated after his girlfriend told police he choked her.